Hybrid perovskites have always been thought of as direct bandgap semiconductors due to the strong absorption and sharp absorption edge. However, we found that they possess an indirect bandgap just below the direct bandgap. 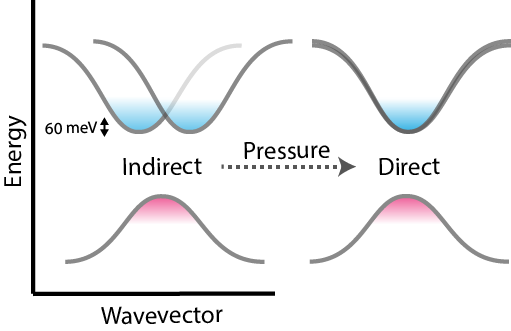 This protects the charge carriers from recombination and is responsible for the unusually long charge carrier lifetime, which explains why they perform so efficiently in many different device structures. We are now exploring the origin of this carrier protection, and whether it is a general property of hybrid perovskites.